O'Neal's Repair Services takes pride in being the top tool repair shop in Odessa, TX. Locally owned and operated, O’Neal’s was established in 2015 to take care of all your repair and cleaning needs for hand tools and threaders of all types. 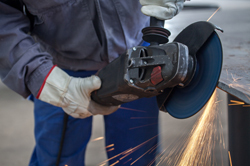 Rely on us to repair and service your threaders, cutting torches, hydraulic jacks, pneumatic tools, and so much more. We use the experience and skill that we have to clean your tools at an affordable rate. O’Neal’s stands out from the crowd because we service your hand tools in a short period of time (time varies depending on the tool). 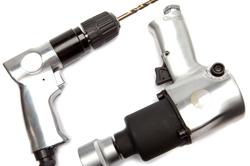 But we don’t just fix your tools; we completely restore them. Our trained technicians will disassemble your tool, clean the parts, and put it together so that it works and looks like new. Where else can you get service like that? We make it our business to have a complete knowledge of any tool that is brought to us. 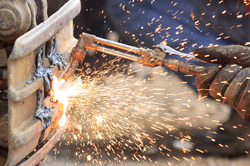 Whether you bring in a cutting torch to be cleaned, sand blasted, buffed and restored or you want us to solve what’s wrong with your beveling machine, we already have the skillset to assist you. If it’s a broken tool, chances are good that we can fix it! We encourage you to stop by today or call us for more information about what we can do for you. When it comes to the tools you use to earn your livelihood, don’t leave them in the hands of amateurs; rely on O'Neal's Repair Services to clean, repair, and service all of your tools. Residents of Odessa, TX turn to us for fast turnaround, quality customer service, and convenience.